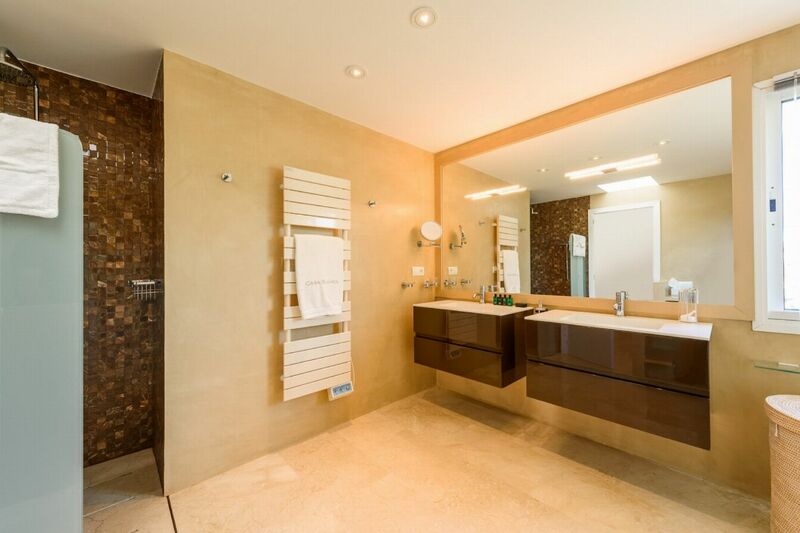 Cleaning Monday â€“ Saturday, can also be arranged for Sunday. 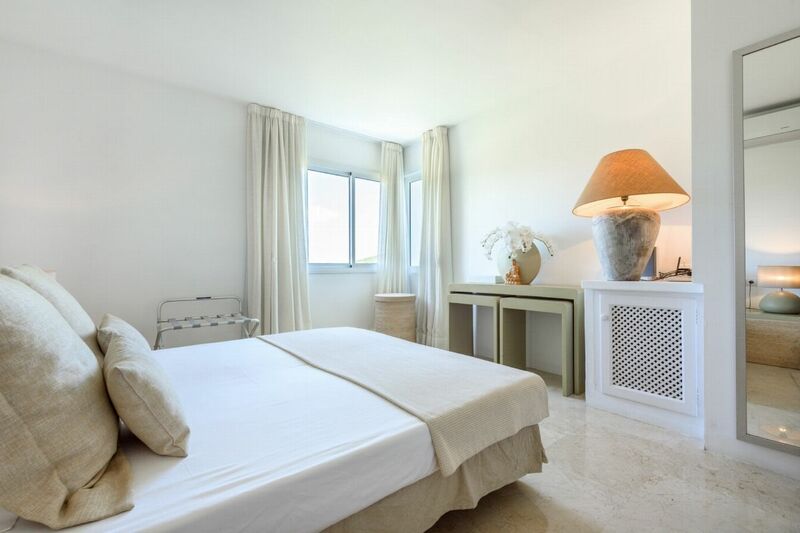 Linen/towels changed Wednesdays and Saturdays. 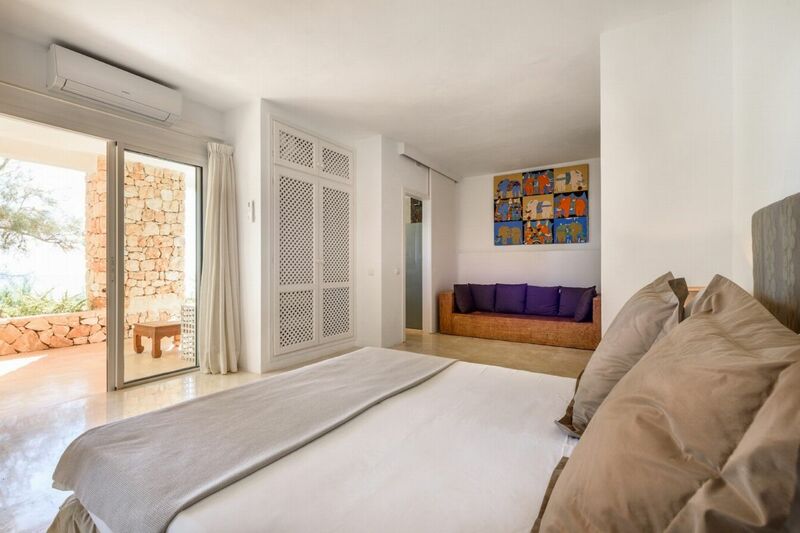 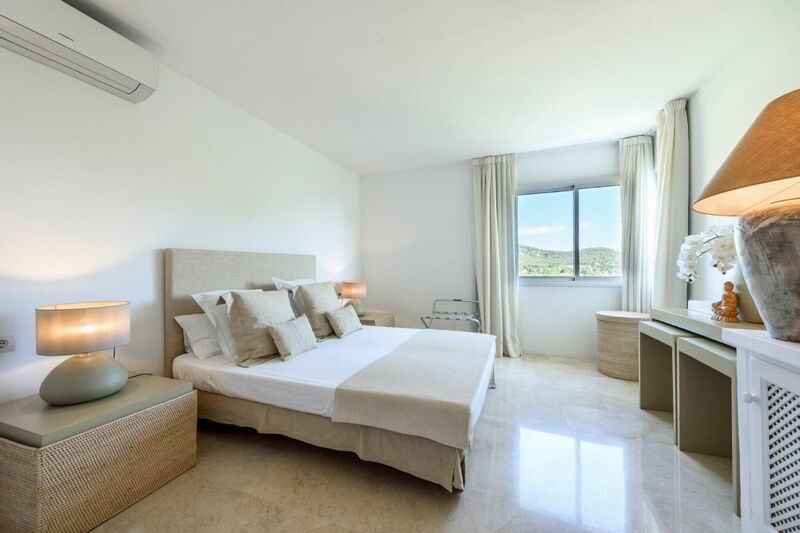 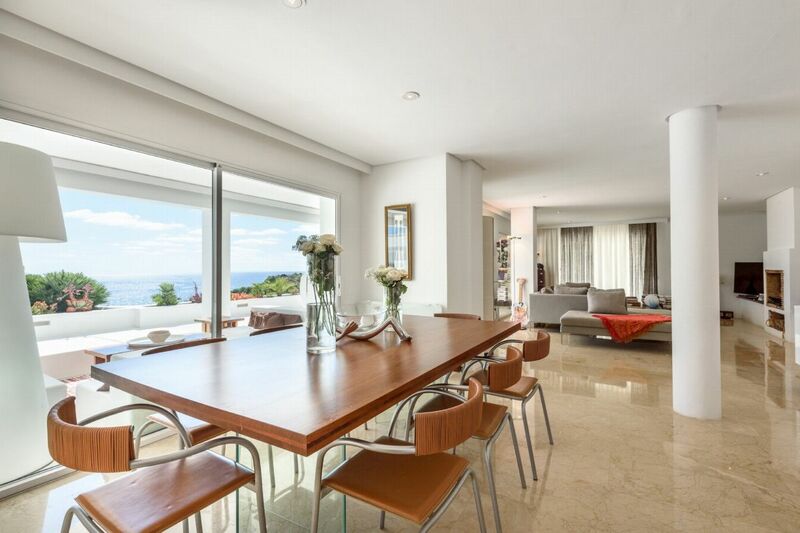 Casa Blanca Jondal occupies an utterly gorgeous location on the hillside above Cala Jondal, the beach famous for its Blue Marlin beach club. 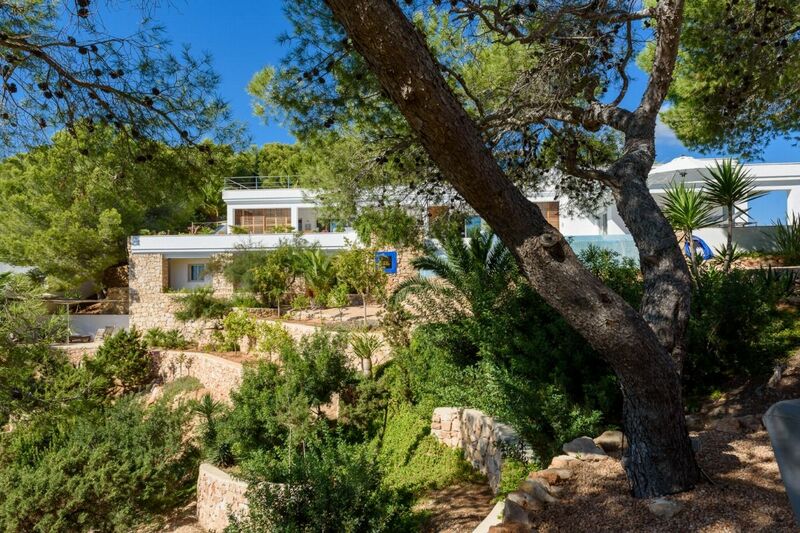 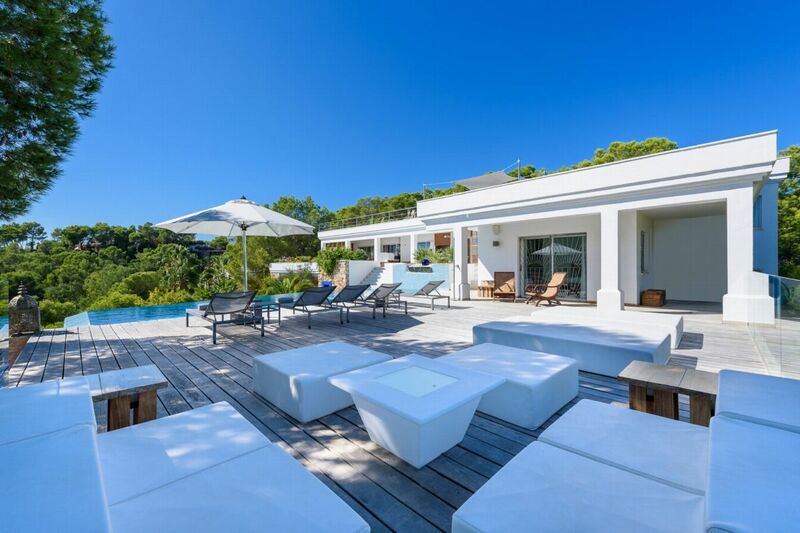 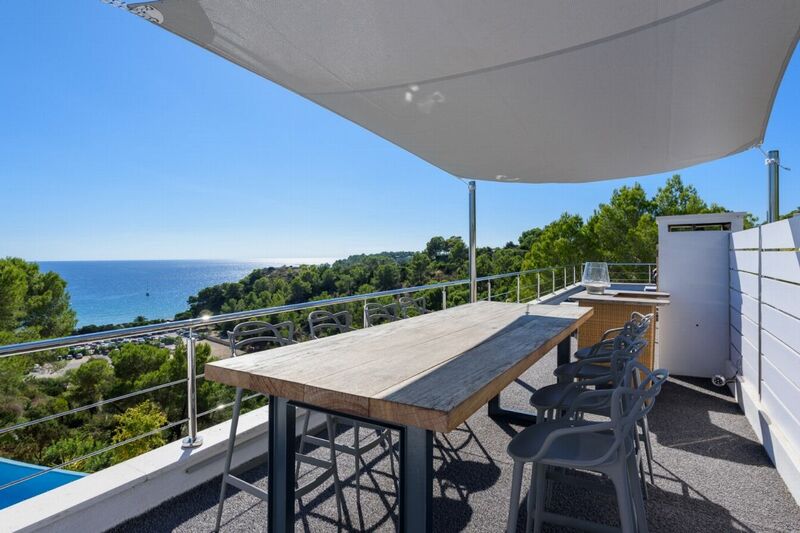 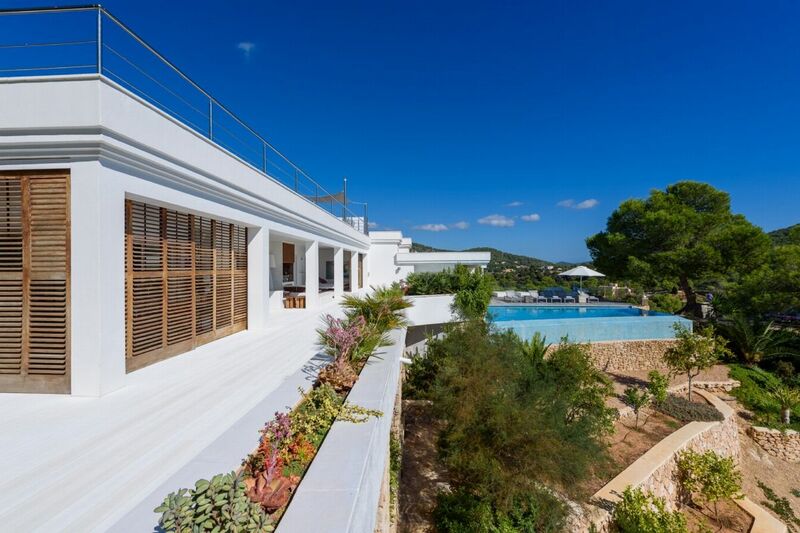 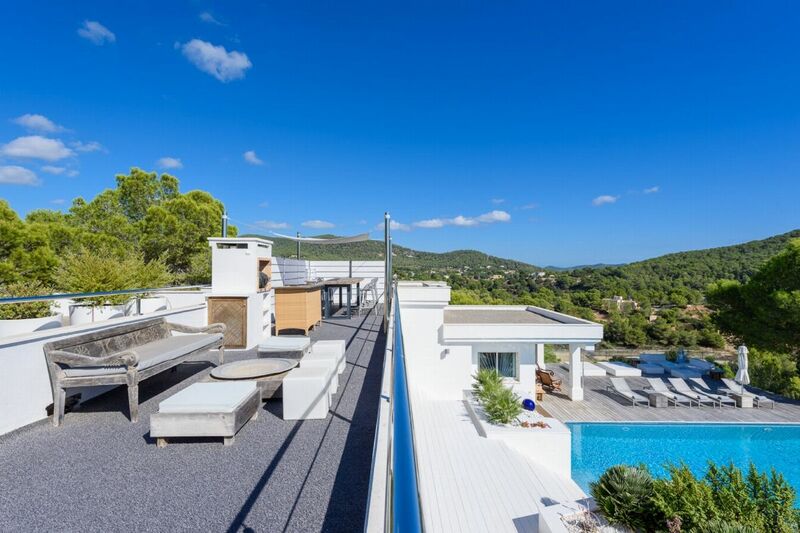 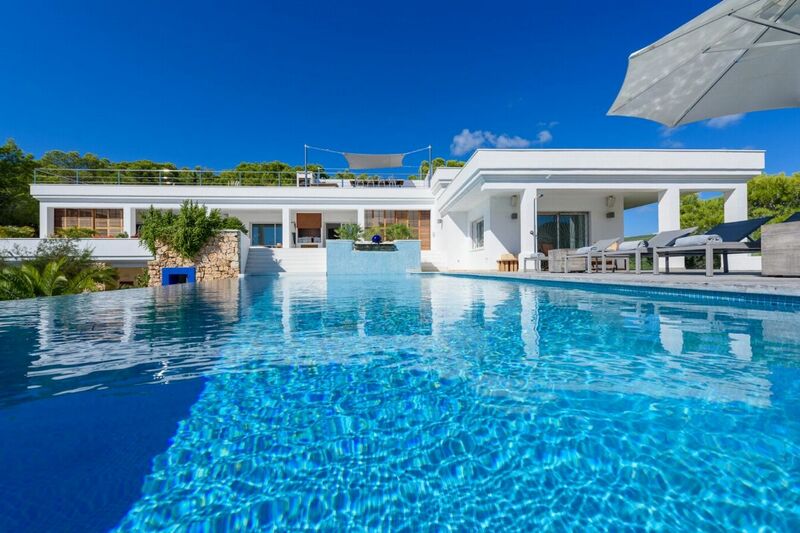 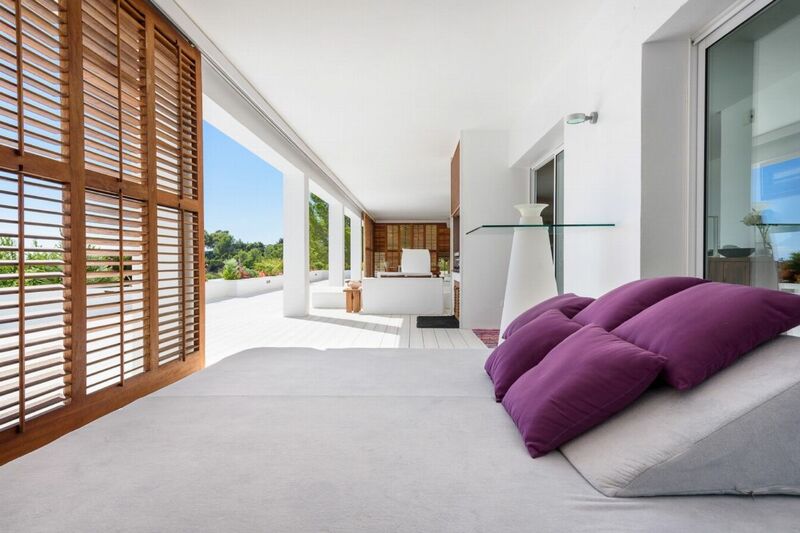 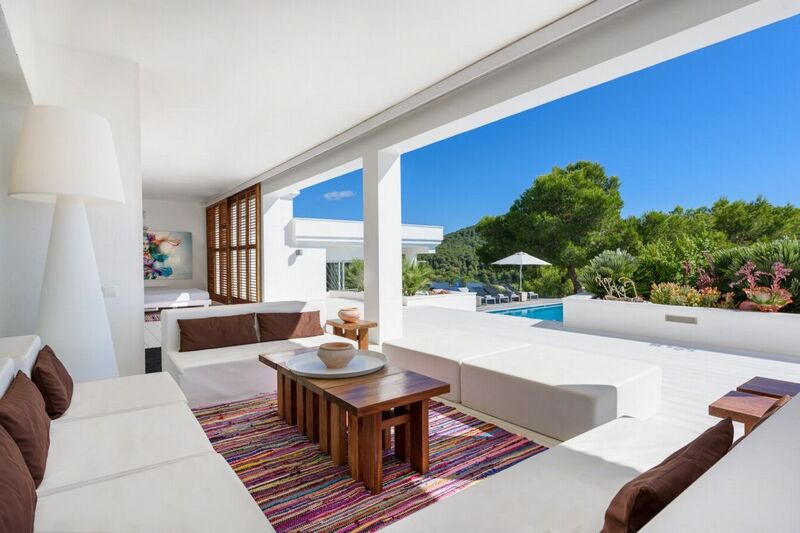 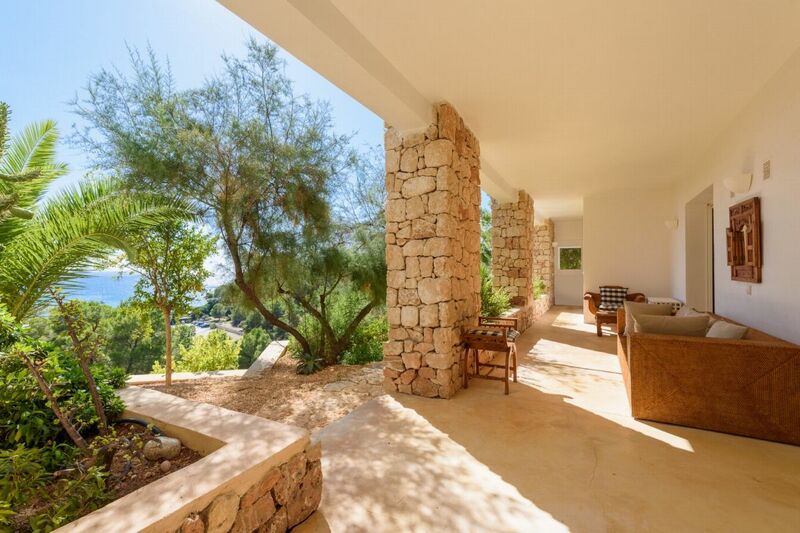 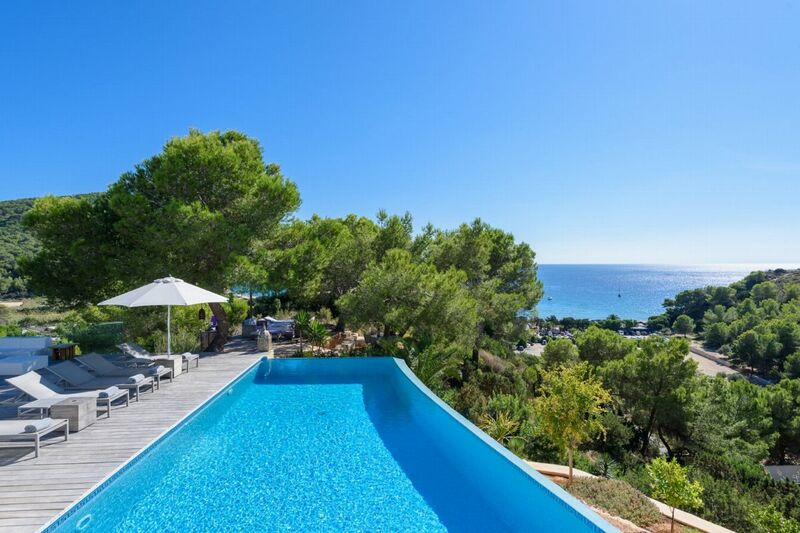 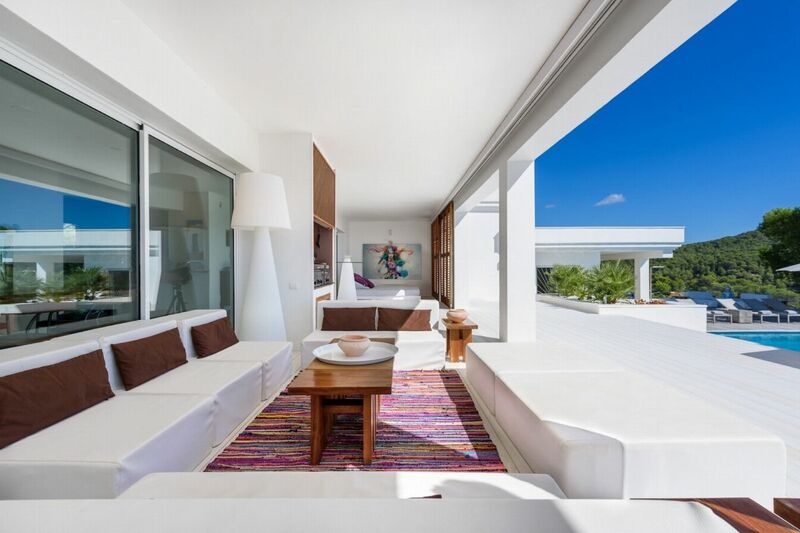 From its hilltop vantage, this Ibizan villa delivers some jaw-droppingly beautiful views. 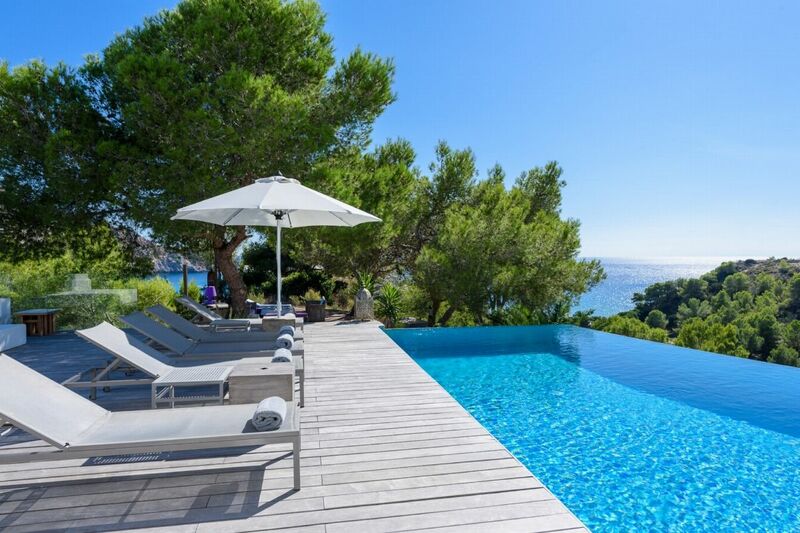 The pine-clad hillside drops to sparkling turquoise sea glittering across the horizon. 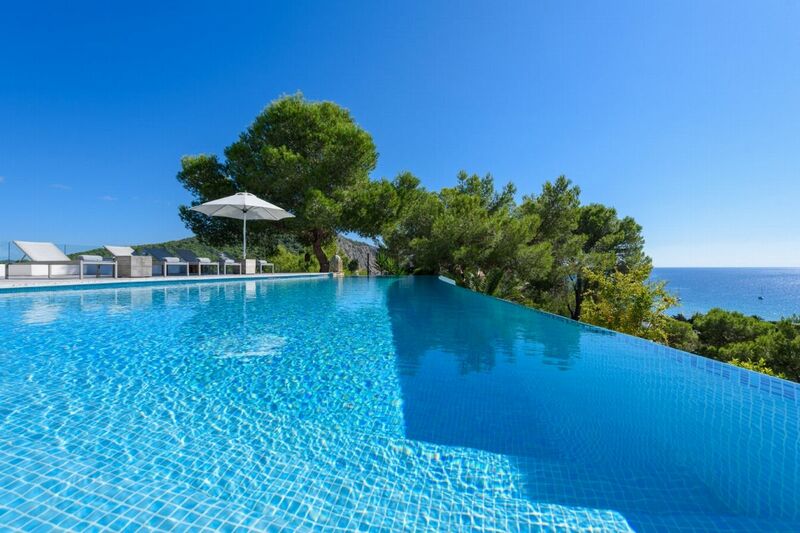 Revel in the view from the salt-water infinity pool â€“ one of the best viewpoints on the island. 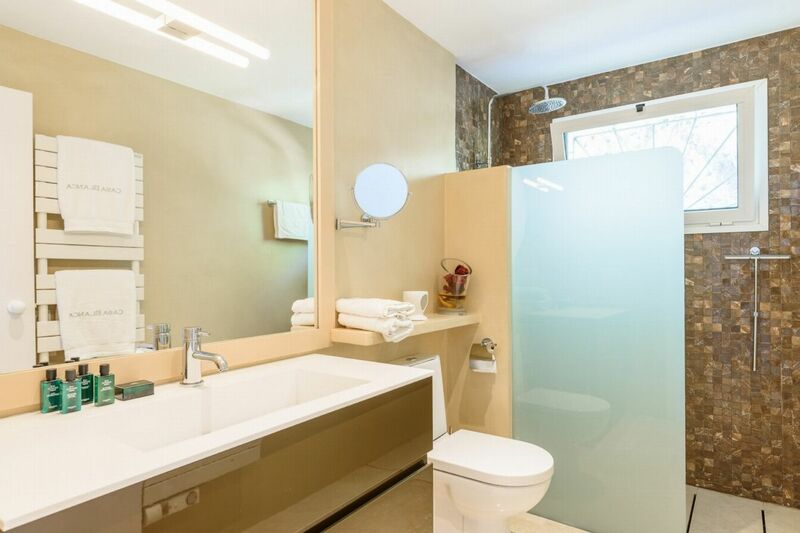 Here, you can relax in total privacy. 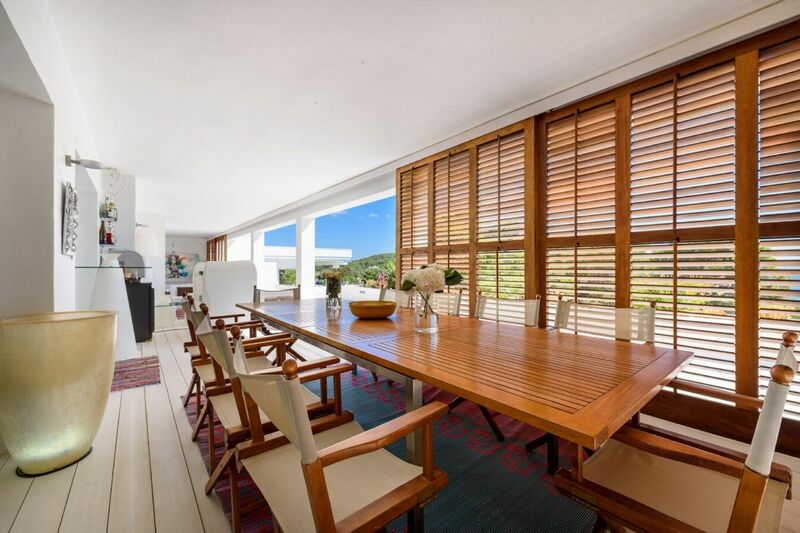 The large exterior terrace offers shaded seating and dining spaces, as well as a fully-equipped summer kitchen. 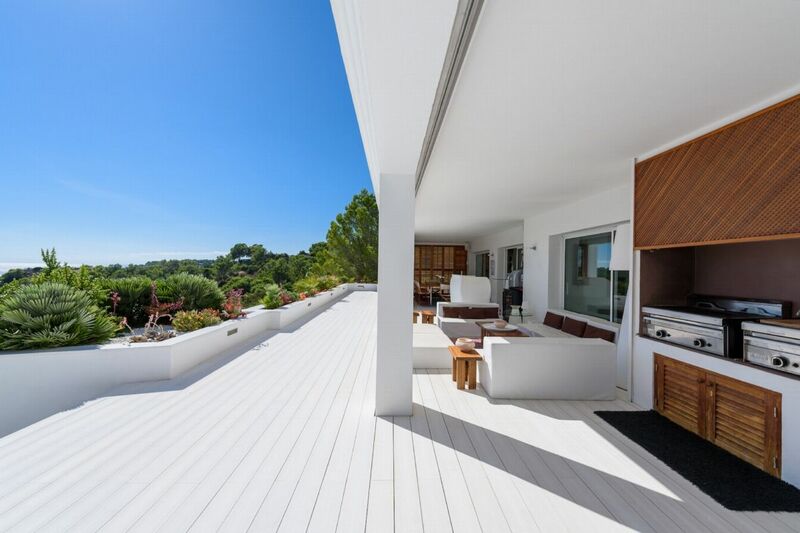 Thereâ€™s a further shaded socialising space on a wooden terrace built under fragrant pine trees. 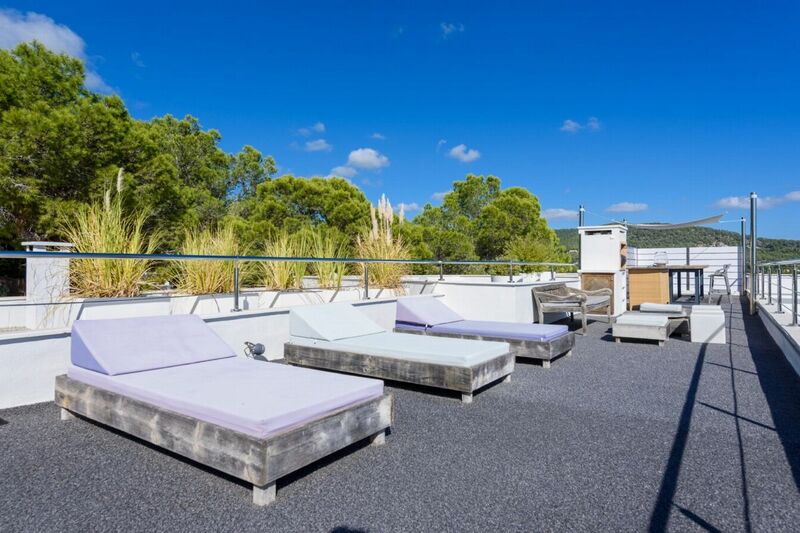 If you prefer to soak up some Ibiza sunshine, choose from daybeds on the terrace or the poolside loungers. 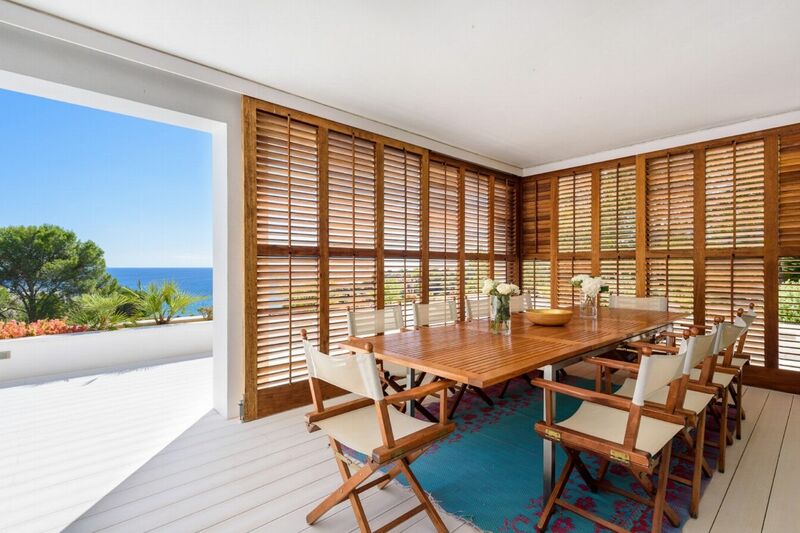 Or head to the roof for a whole new set of sun-drenched entertaining spaces. 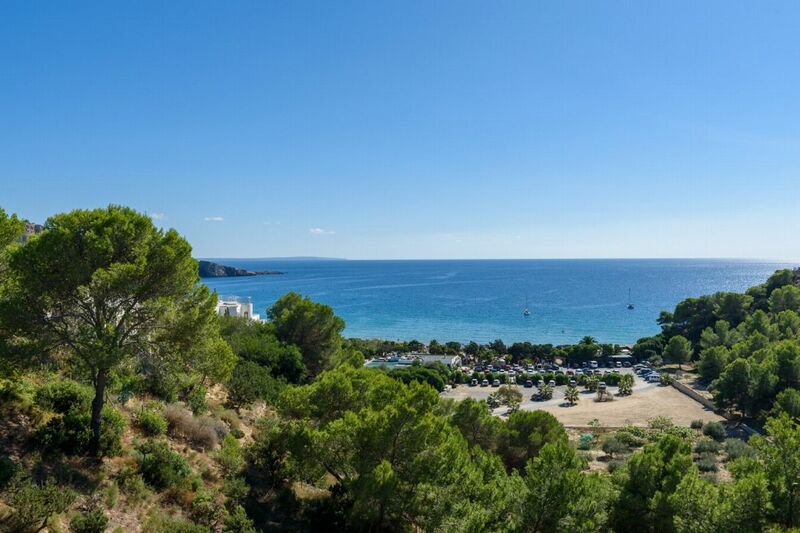 From here, you can see the yachts bobbing on the water at Cala Jondal. 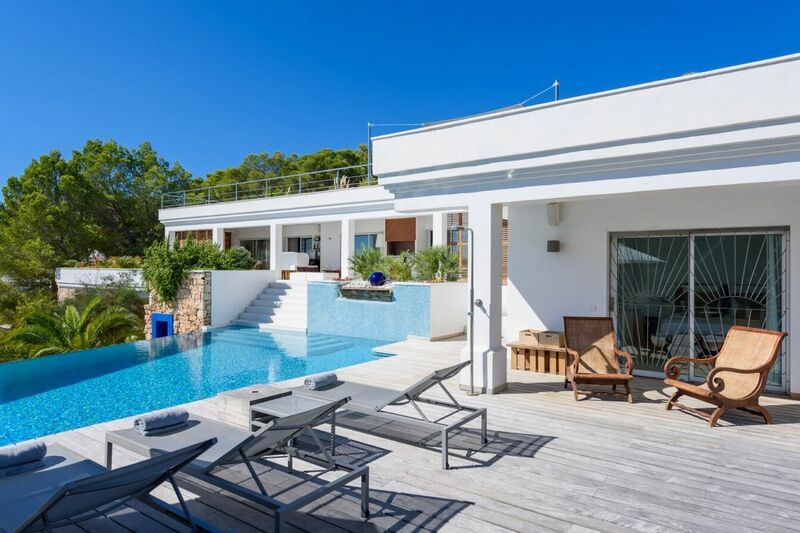 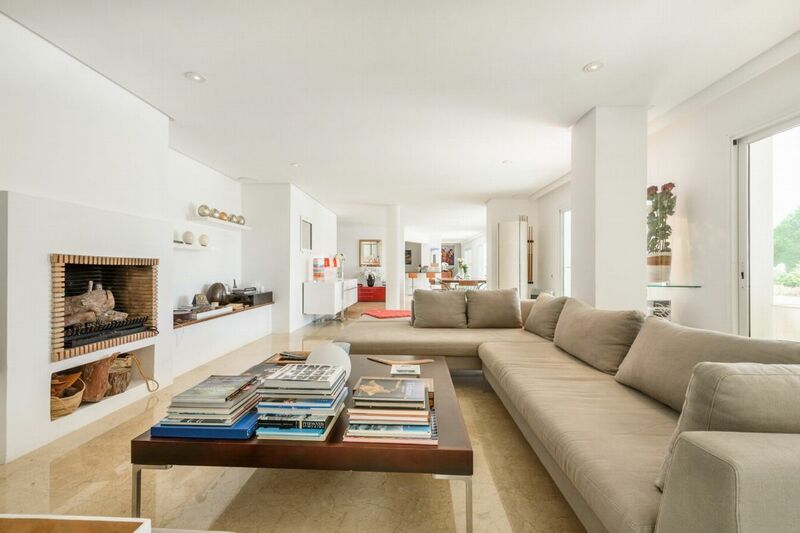 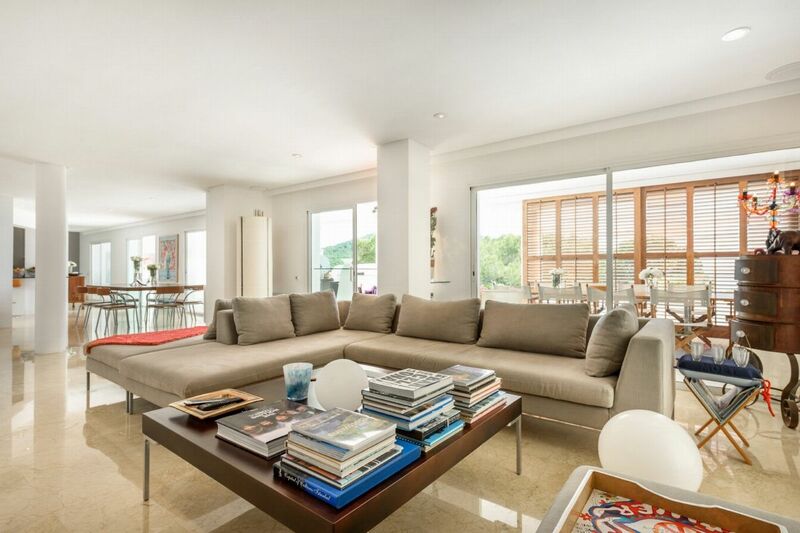 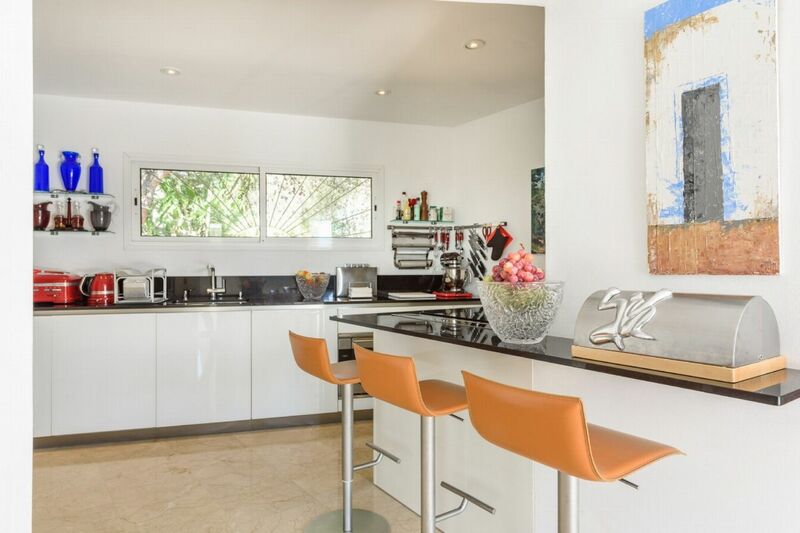 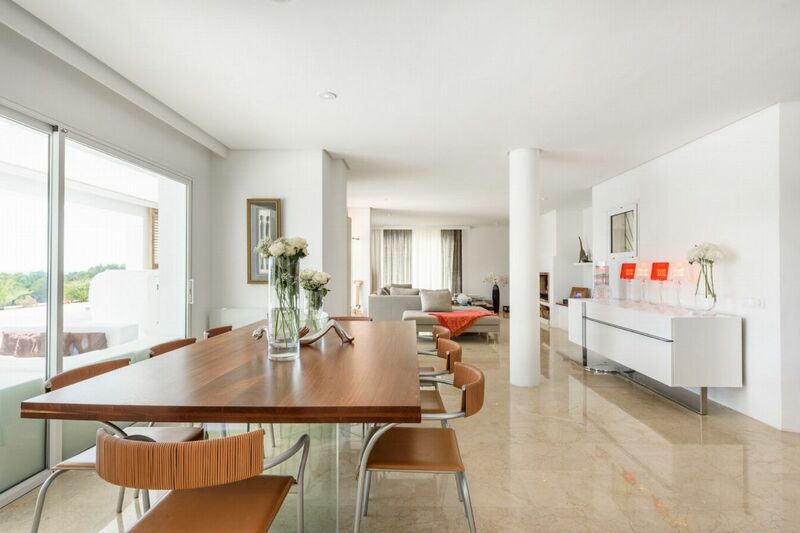 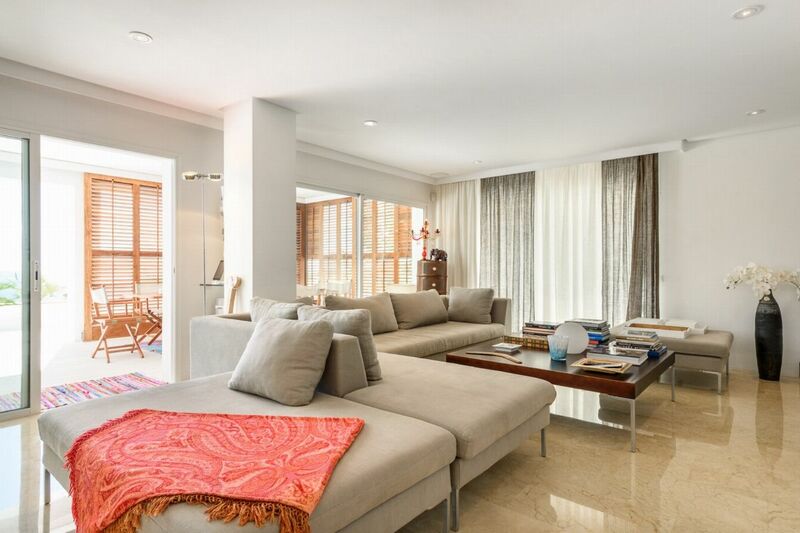 Inside, elegant living areas stretch from the large open-plan lounge and dining area through to the well-equipped kitchen and the large terrace overlooking the pool. 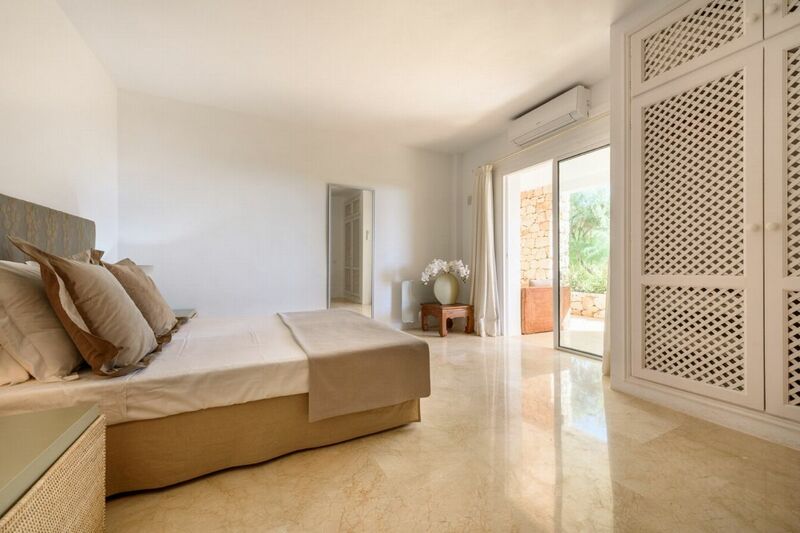 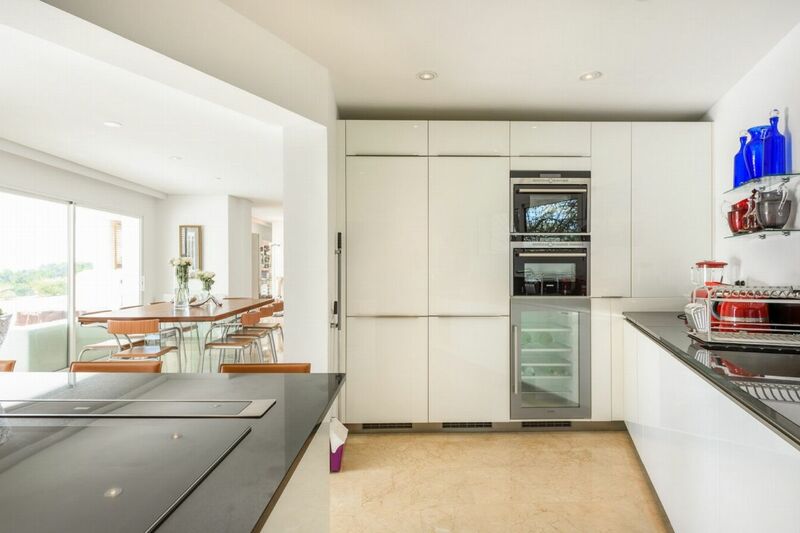 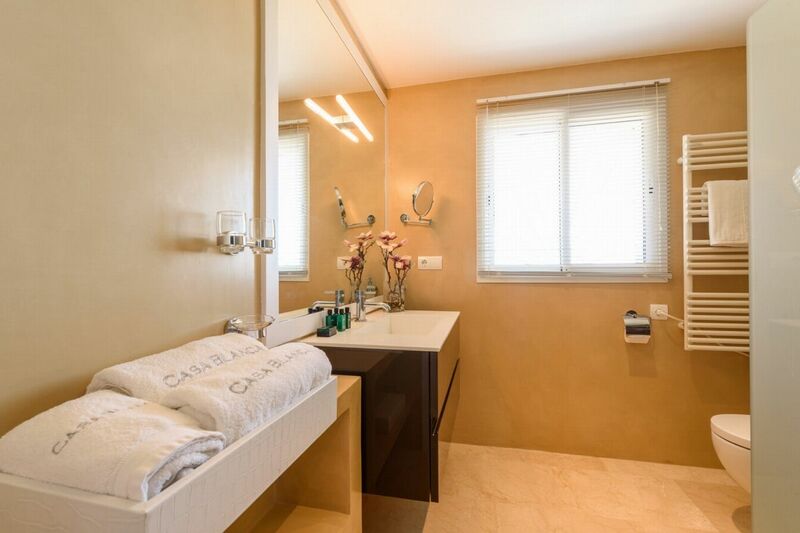 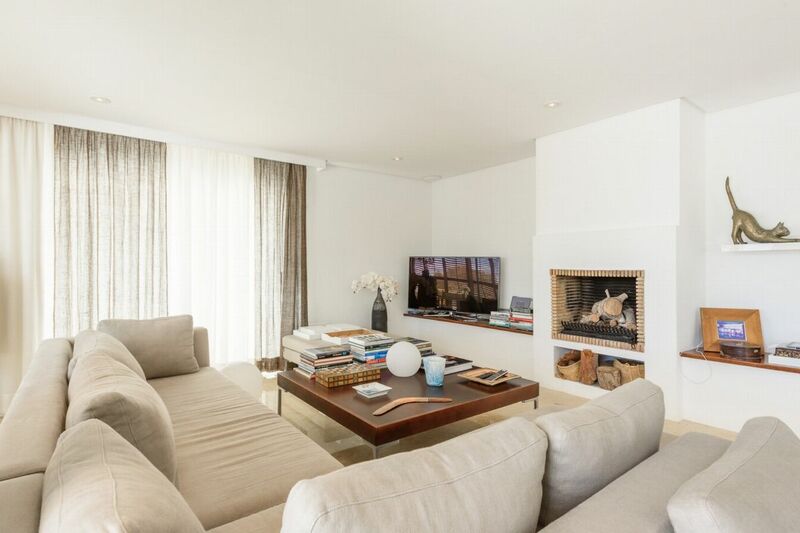 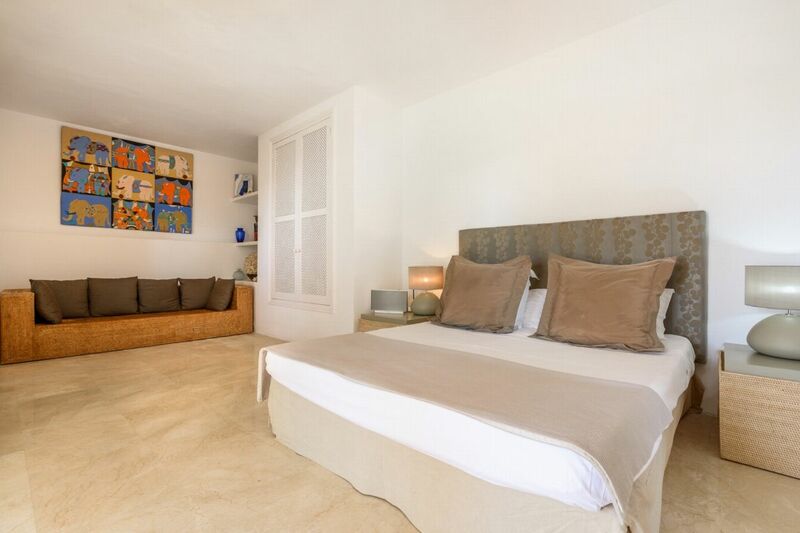 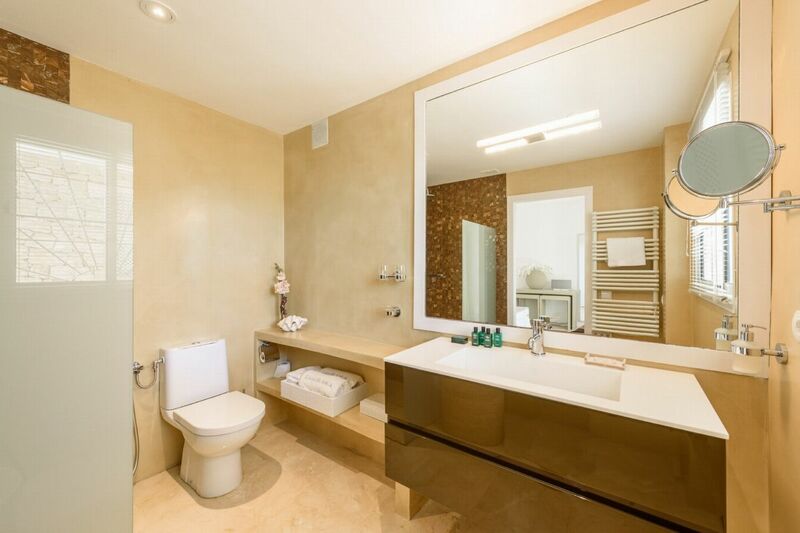 The four double bedrooms are all en-suite and as spacious and elegant as the rest of the property. 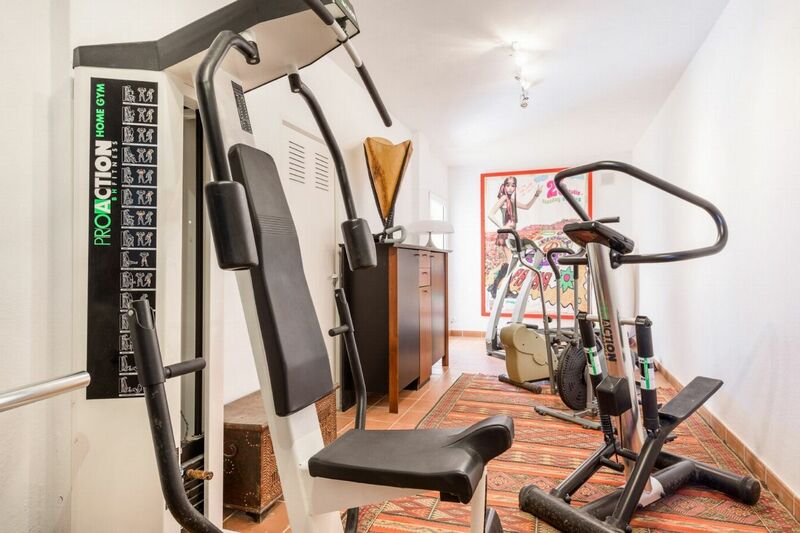 The Sonos music system operates throughout and additional amenities include a home gym and table football. 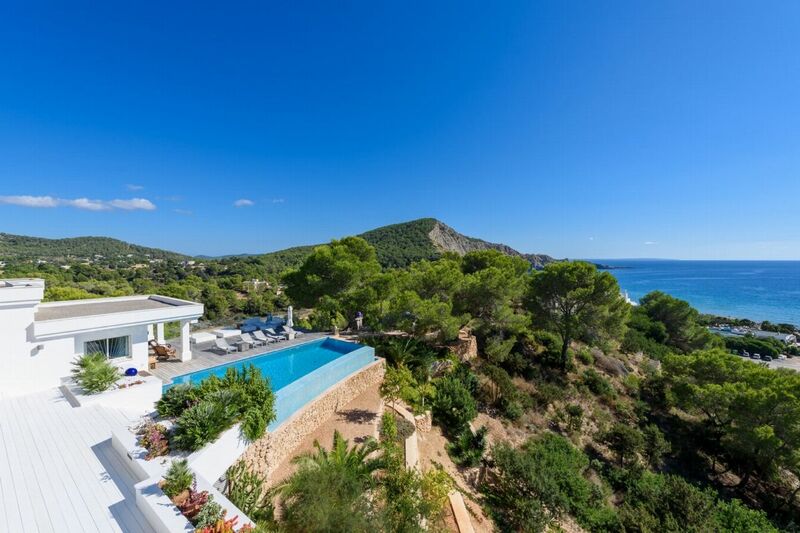 Enjoy peace and secluded tranquillity with the delights of the Blue Marlin and Cala Jondal just footsteps away. 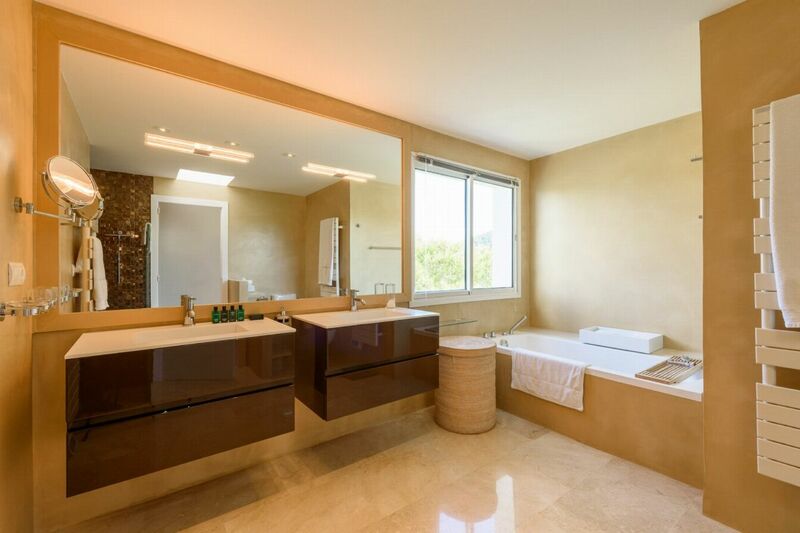 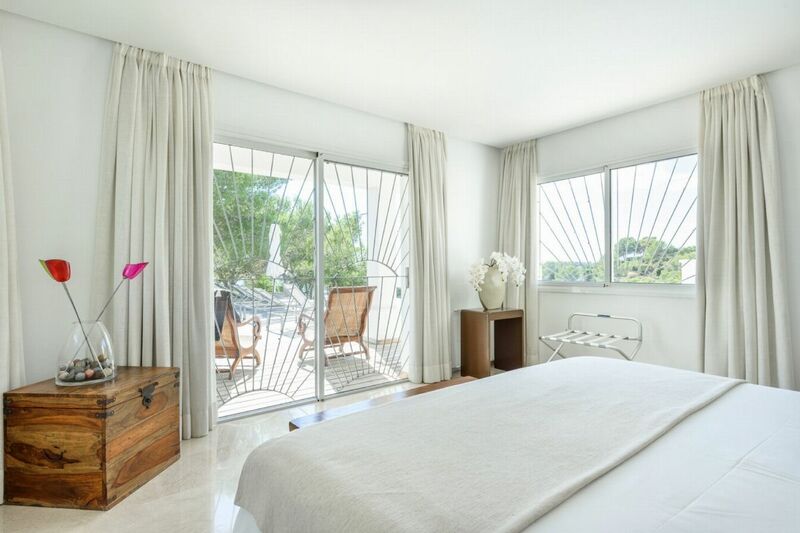 Queen size bed, en-suite bathroom with bath and waterfall shower, pool access, air conditioning, Sonos Sound System. 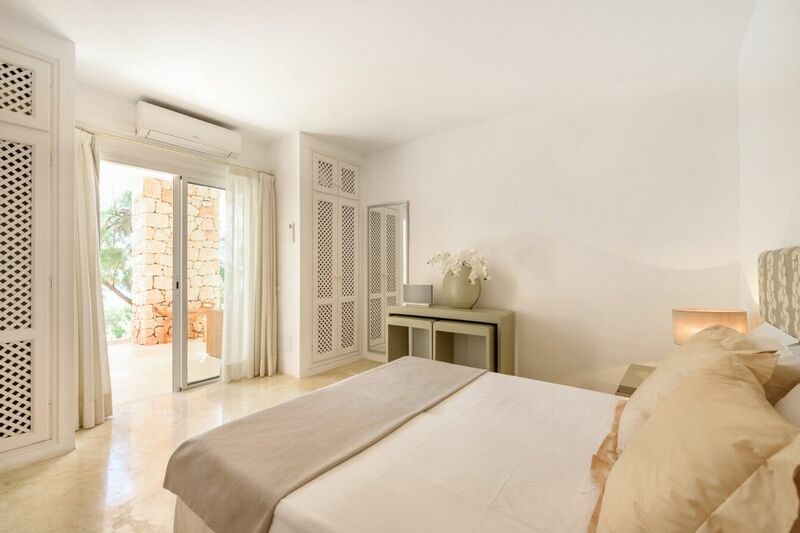 Double bed, en-suite bathroom, air conditioning and Sonos Sound System. 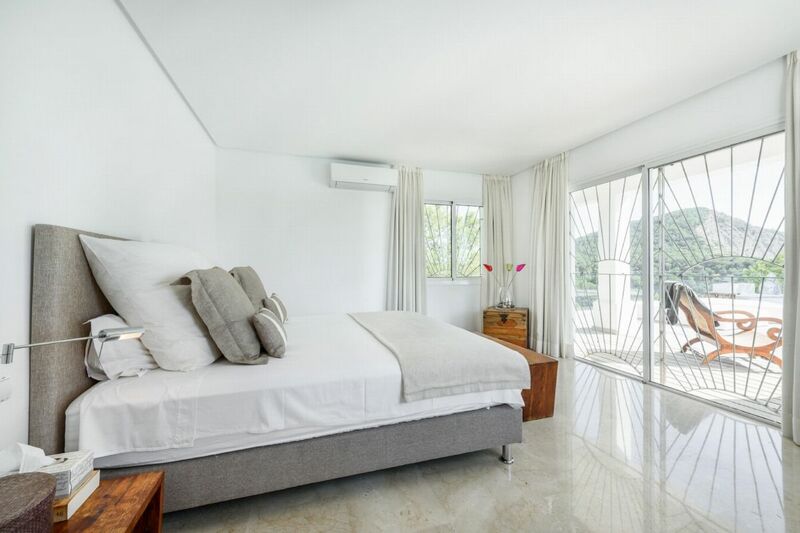 King size bed (can be converted to twins), en-suite bathroom, air conditioning, outdoor access, sofas and Sonos Sound System.